To feed the electricity generated by the wind farm into the national grid, an onshore connection was required. Through liaison with the National Grid, the connection point was selected at an existing substation site at Salle, 22 kilometres inland from the landfall at Weybourne. An underground cable system between Weybourne and the substation at Salle (approximately 21.3km in length). A new substation adjacent to the existing EDF Energy substation at Salle. UK contractor Carillion installed the onshore cable; which comprises six power cables installed below ground in plastic pipes or ‘ducts’. Fibre optic cables for communication purposes were installed at the same time. The majority of land along the cable route was cultivated agricultural land separated by hedgerows and occasional trees. Agreements were reached with local landowners and farmers before the work could proceed. Along most of the route the cables were installed using a method of open-cut-trenching, the trenches being around 2.2m wide and 1.6m deep. The route crosses the local road network in 14 locations and local landmarks such as the North Norfolk Railway [Poppy Line], the River Bure, several areas of woodland and the Kelling Heath holiday park. In these locations open trenching was not appropriate, and a technique known as ‘direction drilling’ was used to install the cable ducts, thereby minimising surface impact. 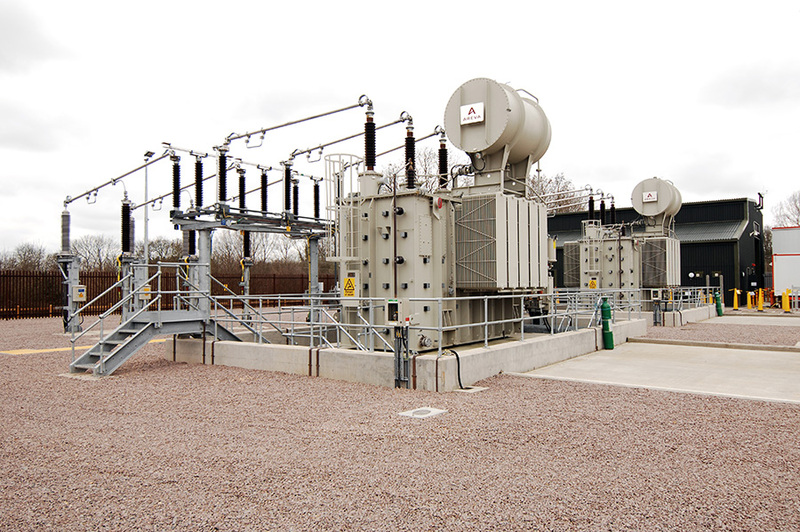 The construction of the new substation was also completed in late 2010, and the main commissioning leading up to the energising of the substation by UK Power Networks took place during the early months of 2011.